We are so very excited to announce that our cushions are NOW AVAILABLE on The Block Shop. As you'll see, we are featured first-up in their Outdoor Decor section amongst some other amazing home decor items to complete your outdoor space. On The Block Show this week the contestants are doing Outdoor Week and we would love you to work on your outdoor areas this week too! Why not start with some weather resistant outdoor cushions available in a large range of designs and colours to start your inspiration! Made from Sunbrella fabric which is fade, water, chlorine & mould resistant. 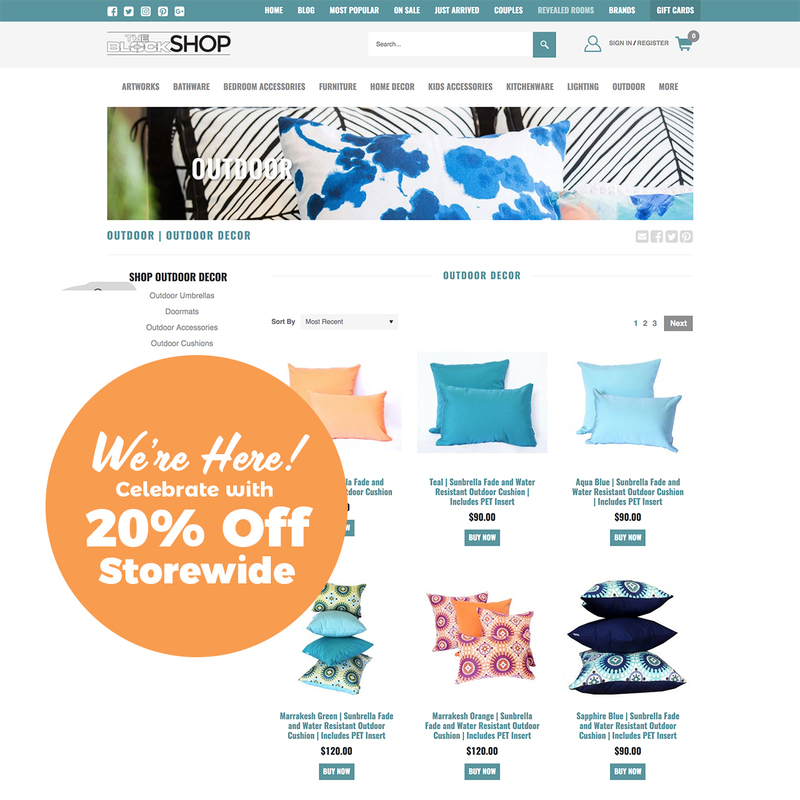 To celebrate, we are offering a whopping 20% off storewide until Sunday 8/10 at midnight. Get in quick for Spring with our huge range of beautiful designer outdoor cushions, before stock runs out! To receive your 20% off, simply use the code 'BlockShop20' at Checkout. 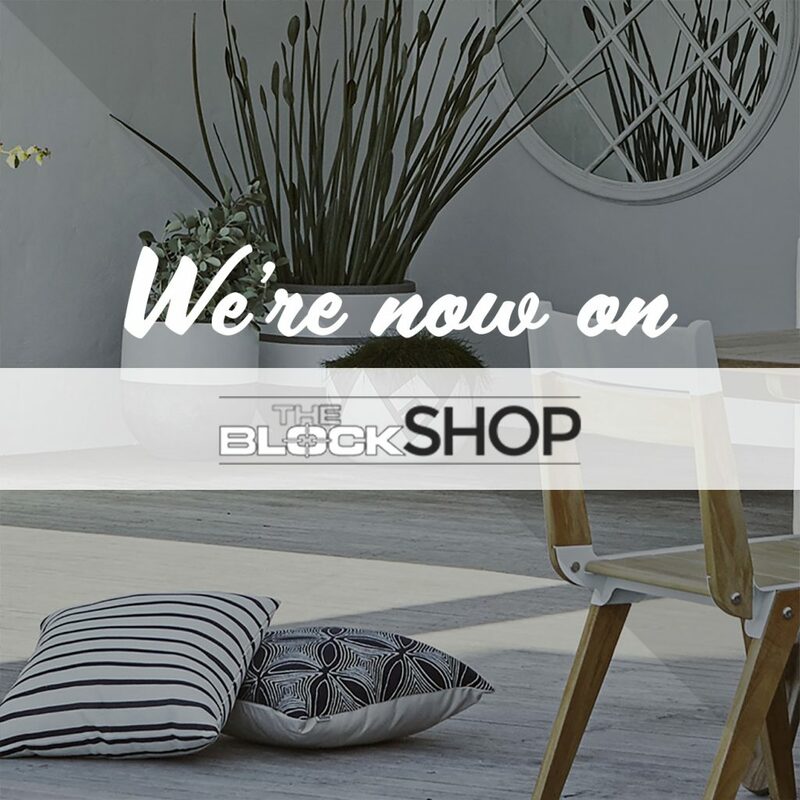 We are excited to share with you we now have our luxury outdoor scatter cushions available to purchase through The Block Shop online. All of our scatter cushions are made from durable Sunbrella fabric. The ultimate in quality outdoor fabric as they are made from 100% solution dyed acrylic. Want to know more about why our Sunbrella upholstery fabric scatter cushions are the best?